Have you ever had an idea for anything from an action figure to a biomechanical moving arm? Well, now you can make them come to life! Introducing Syracuse University’s newly created MakerSpace – a collaborative space to create, invent, and learn. 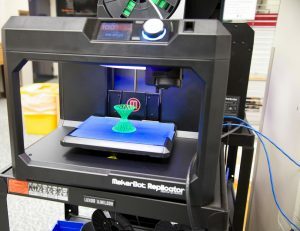 The MakerSpace offers a variety of equipment from 3D printing and laser engraving to full production machining. We will include a brief description of all the tools and machines available to students, staff and faculty and talk about these various building processes and primarily additive and subtractive building. With today’s technology you can think of an idea in the morning and have it in your hand by the afternoon. We will give an audience member, with no 3-D modeling or building experience, an opportunity to design and print his/her own 3-D modeling project and provide an actual demonstration of the 3-D printing process. 3-D building techniques are being used in many areas, including house building, modeling, and food production. Software and 3-D machines are relatively inexpensive and easy to use and allow your ideas to come to life. John Mangicaro has spent most of his career at Syracuse University in the ITS Learning Environments Department. His electronic and mechanical skills have been sought out by many departments throughout the University for unique problem solving. He is a former business owner of a local factory authorized service center, for many consumer electronic, sound, and lighting companies as well. 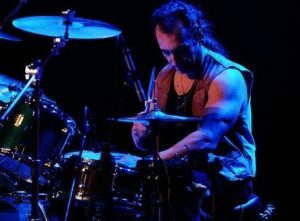 In his spare time, John is a drummer for many local and national recording artists. He enjoys exercising, gardening, making maple syrup, fabricating, and building. And some day he would like to work on sleeping!